Dinner: Neba-Neba Don. (Sticky Donburi !) 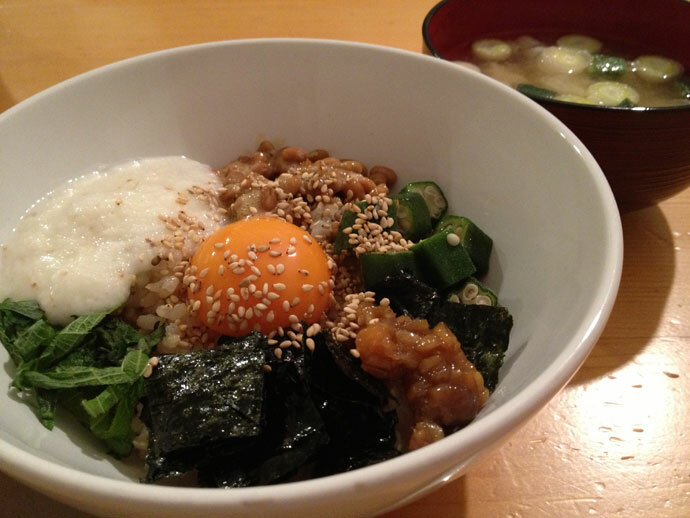 Put Egg yolk, Boiled Okura, Kinzanji-miso, Sea weed, Perilla, Grated Chinese yam, Natto (=fermented soybeans) and White sesame on the white rice. Poured Men-tsuyu　(=Noodle sauce) and mix all of them. Oishii—–!